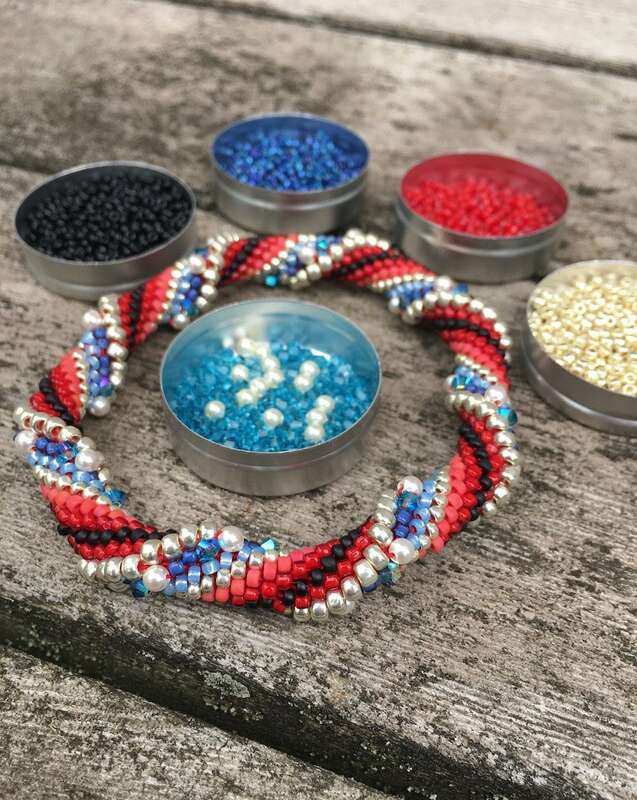 The "Patriot" Slip Stitch Bead Crochet Kit - Advanced Beginner/Intermediate Project. 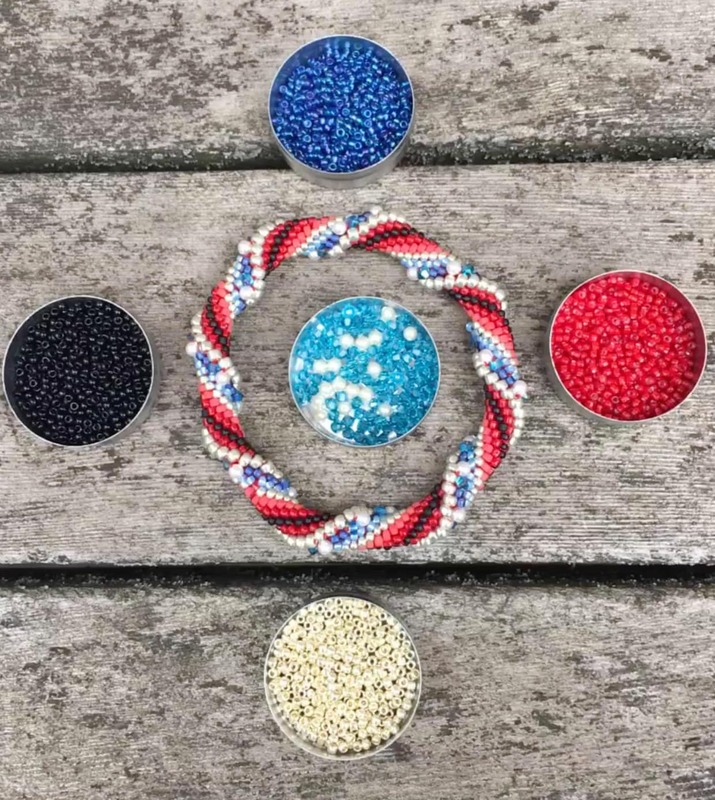 Included in Kit: All seed beads, Swarovski Pearls & Crystals, High quality crochet thread, Pattern, Adding Thread and Hints document included. This patriotic color celebrates Independance Day with red, white & blue colors. 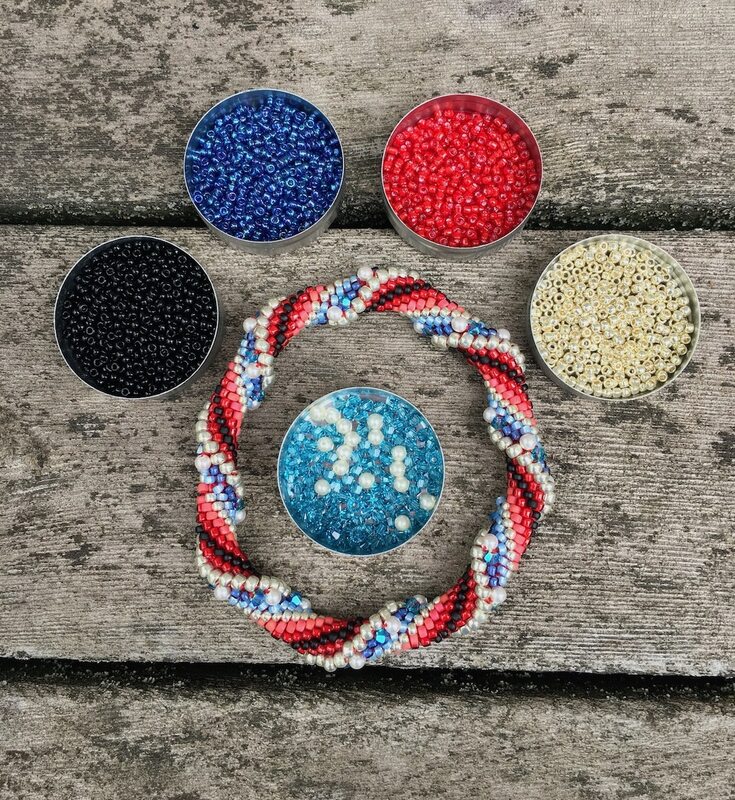 Bead crochet kit includes all the beads you need to make this lovely bracelet, including high quality color coordinated crochet thread. It also includes the pattern, a 6 page Hints document, and an Adding Thread document - which gives you invaluable bead crochet information, including the invisible joining instructions. This project uses a size 8 or 9 crochet hook. NEW OPTION - choose the appropriate crochet hook and bead tools as an add-on to your kit - Only $12.00! See Separate listing for this option - I'll make sure you have the correct size crochet hook for your project.